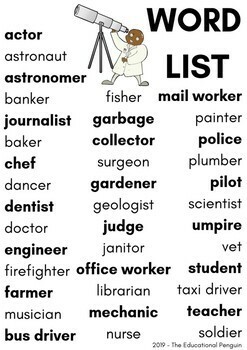 38 UNIQUE occupation based cards, printable for theme lessons, wall decorations or even review are included. 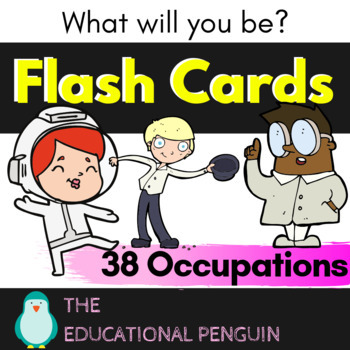 The 38 occupation based cards are for students learning about occupations. 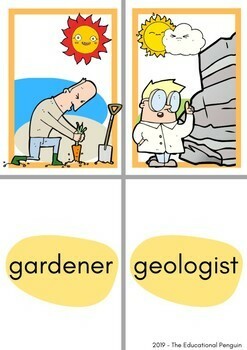 Their design is fun and a little bit silly which will help your students keep focused while they learn! 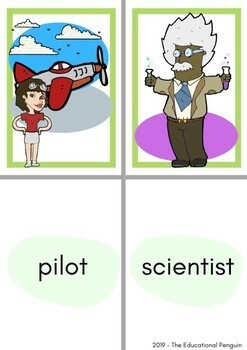 Click follow to get updates about more other themed flashcards. Don't forget to click that green star, to follow The Educational Penguin and receive updates on new products!